As humans we respond well to games. It starts at an early age – airplanes are loaded with broccoli, we get gold stars for doing well in school, get achievement badges in Scouts. Even as adults a little game playing gets us through the most boring of meetings (meeting bingo anyone?) or can help us do everything from improving critical thinking through Sudoku, speak a new language or learn how to code (we still haven’t thought of a justification for FarmVille though…) Since call centre work can be challenging to morale but requires new skills to be learnt – it’s the perfect environment for call centre gamification. Who doesn’t love to play games? And getting paid to play them? Awesome! When planning how you’ll implement your call centre gamification, think about what is it that you want your employees to accomplish. Do you want to unite them to improve teamwork? Do you want to teach them new skills, or strengthen critical ones? The end goals you hope to achieve will determine the style and type of game you need to develop – or you can always commission from a professional gamification company. For instance, you can give your agents points or badges for completing a certain number of calls on their shift, hitting a certain customer satisfaction rating, or closing a certain number of sales, based on your goals. You can also use a leaderboard to keep the entire process transparent, so all agents can see each other’s scores. The transparency facilities friendly competition and helps motivate everyone to do well. The story of the game matters. A strong narrative, a leaderboard, and countdown timers shows 61% higher participation in online training, while adding levels, points, leaderboards, and visual storytelling help increase participation by an astonishing 347%. Take for instance, Go To Jupiter, a game Astrazeneca had developed for their sales reps. The game, presented to 500 agents, required them to earn points to be the first one to reach the stadium, which serves to represent the launch event of a new medication. From there, agents earn more points by answering questions with a remote control, which earns more points to improve their ranking. They can also play a web game where they can answer quizzes and play various mini-games that are focused on new product features. 97% of the sales force participated, and 99% of participants completed the program. LiveOps, a company that runs virtual call centres in the United States uses call centre gamification to improve agent performance, with a team of 20,000 agents who work as independent contractors from all over the country. The company began offering badges and points for certain tasks, and provided everyone with a leaderboard so they could see each other’s progress. Through gamifying the environment, some agents have been able to reduce call time by 15%, and sales have improved among some agents anywhere between 8% and 12%. Look at the most popular games – whether they are on mobile devices, social media networks, or on consoles, they all have some sort of reward system for excelling in the game. Whether it’s coins, diamonds, gold, or points, there needs to be a system in place to reward players for making progress. An important element in making call centre gamification effective is to develop a system that allows those rewards earned in the game to translate to a tangible, real-life reward. This helps motivate your agents to take the game seriously and work a little harder to do well. Whether it’s a free lunch, a gift card, or a small bonus, do something to reward those who do well. When the game is ready to launch, introduce it to your call centre team with a meeting that goes over the game, and how it will be used to reach goals. The game should have a tutorial level that guides your staff members through how to play – and they should get some sort of reward for completing it. While you always have the option to make game participation mandatory, like in the case of training your employees, it’s a good idea to allow your employees to choose whether or not to participate. Forcing it upon them may cause them to resent it, and they may not take it as seriously. Chances are, they’ll choose to play the game – if you were given the choice between reading a manual or playing a game that promised a reward, wouldn’t you rather play the game? Yeah, I thought so. Plus, playing games could strengthen your staff’s skills and comradery, thus boosting your profit margins and decreasing your turnover rates. What’ve you got to lose? Why work when you can play? 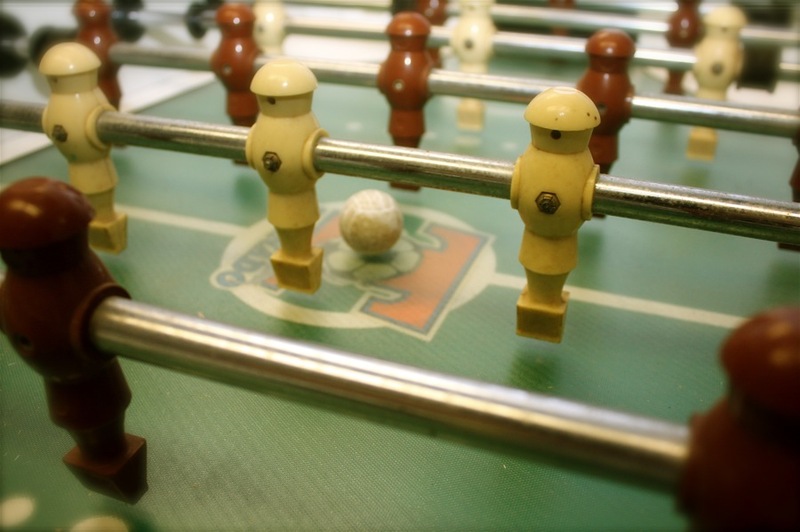 Tips for call centre gamification success. Do: keep things simple. You want the game to be challenging enough for your team to enjoy it, but if it gets too complex, people will find it too challenging and give up. Consider asking some of your top agents to play through some of the test levels – or testing it yourself, to figure out if you’re on the right track. Do: include elements to appeal to all gamer styles. Think about what kind of games you like, and which ones you hate. There’s someone on your staff who loves games like the ones we see on Facebook – and there’s surely someone else who hates them. To encourage higher participation rates, develop a narrative and gameplay style that appeals to a wide audience. Do: move the middle. Research from gamification developer Gameffective shows you should strive to build a game that focuses on the middle 60% of your agents. They produce about 60% of your performance, whereas the top 20% produce 33% and your bottom 15% produce only 7%. You’ll get a higher ROI by focusing on the average agents on your team. Don’t: lose focus on the goal. While game playing can, and should be fun, don’t allow the entertainment to override the fact that your end goal is either to encourage learning or motivate your staff to achieve more. And while rewarding an overall winner can be effective, remember that you’re likely wanting to motivate a team of agents, so factor in ways you can reward participation and completion rather than a single winner. To understand more about how and why motivating a call centre team is so important to achieving sales results, why not download your free copy of The Psychology of a High Performing Call Centre.